I’ve previously posted on how to move compiled binaries into a remote GAC automatically from your development environment to your SharePoint environment using SysInternal’s PsExec utility. But what about moving content files from your SharePoint environment to your development environment? When I’m developing content for layout pages (ASPX, js, css), for the most part, I don’t want to develop in Visual Studio; I will usually use EditPlus (my weapon of choice) and edit the files directly on the remote server. 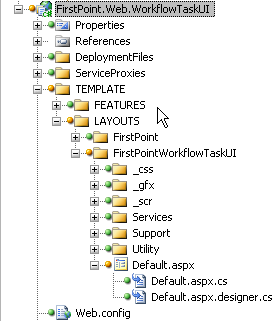 However, this poses a problem: synchronizing files between the SharePoint environment and the development environment. It’s quite time consuming and painful to do it manually since you may have to dig through various directories and keep tabs on which files you’ve edited on the server. Enter 2BrightSparks’ SyncBack utility. Using this, I can create a synchronization automation between my SharePoint environment and my development environment. And because I’ve set up my files to have the same structure on both sides, it’s easy to set up the synchronization settings. The image above shows the layout of my project. 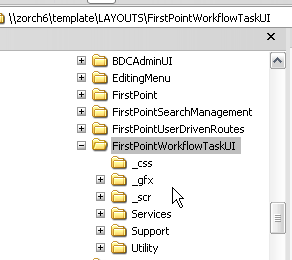 You can see in the image below at the directory layout mirrors the project layout, making automated synchronization a snap. Working smarter > working harder. Previous story Is Venter About To Bring Another Revolution In Science?